Asser International Sports Law Blog | The Diarra Ruling of the Tribunal of Charleroi: The New Pechstein, Bosman or Mutu? ← UEFA’s betting fraud detection system: How does the CAS regard this monitoring tool? By Emilio García. In this blog, I will retrace briefly the story behind the case and then analyse the decision of the Belgium court. In doing so, I will focus on its reasoning regarding its jurisdiction and the compatibility of article 17(2) RSTP with EU law. On 20 August 2013, the French footballer Lassana Diarra and the Russian top-tier club FC Lokomotiv Moscow (Lokomotiv) agreed on a four-year contract (Contract). Article 8 (3) of the Contract provided that in case Lokomotiv terminates the Contract for disciplinary reasons, Mr. Diarra would be liable for compensation amounting to EUR 20,000,000 (Compensation). One year later, on 22 August 2014, Lokomotiv terminated the Contract due to Diarra's recurring failures to perform his obligations arising thereof. Lokomotiv relied on Article 8 (3) of the Contract and claimed the Compensation. Less than a month later, Lokomotiv lodged a request for compensation with the FIFA Dispute Resolution Chamber (DRC) against Diarra. Diarra subsequently filed his counterclaim in which he asked for the payment of bonuses and wage arrears as well as the compensation amounting to the remuneration which would still have to be paid between August 2014 and 30 June 2017, the term provided for in the Contract. On 10 April 2015, the DRC rendered its decision ruling that Lokomotiv’s decision to terminate the Contract was justified (DRC Decision). Regarding the compensation due by Diarra, the DRC noted that Article 8 (3) of the Contract provided for the Compensation (amounting to EUR 20,000,000) claimed from Diarra. On the other hand, in case a compensation was due by Lokomotiv, Article 8 (5) of the Contract set a limit to three months of Diarra’s salary (approximately EUR 1,500,000). Taking into account the discrepancy, the DRC noted that the respective rights of the parties were completely disproportionate and the Contract should be disregarded. The DRC nevertheless decided that the consequences of the Contract's termination had to be assessed in light of Article 17 (1) of the FIFA Regulation for the Status and Transfer of Players (RSTP). In line with the said provision, the DRC decided that Diarra had to pay Lokomotiv the amount of EUR 10,500,000 for having repeatedly breached the Contract. Although this issue was not directly related to the case, the DRC pointed out that, following the termination of the Contract, Diarra did not immediately manage to find a new club so that Article 17 (2) RSTP (making a professional player and his new club jointly and severally liable for a compensation owed to a previous club) was in principle not applicable to the case. Furthermore, the DRC ruled that, having regard to the date of the Contract's termination and the time elapsed between that date and the issuance of the DRC Decision, Article 17 (2) would not apply in case Diarra finds a new club in the future. The governing bodies, Belgian Football Association (URBSFA) and FIFA, expressly confirm that Charleroi is not required to pay the compensation for which Diarra could be held liable at the end of the proceedings before the DRC. Not to apply Article 17 (2) and (4) RSTP to Charleroi. No order had been delivered before the DRC Decision was issued. Furthermore, the DRC Decision confirmed that Article 17 (2) RSTP was not applicable to any new club which would hire Diarra in future. As a result, Diarra decided to withdraw his action from the Commercial Court of Brussels. However, he was not able to play as a professional player for Charleroi until the end of the 2014/2015 season. In July 2015, Diarra entered into a contract with the French top-tier club Olympique Marseille. This contract is still in force. Diarra also appealed against the DRC Decision before the CAS in Lausanne. On 27 May 2016, the CAS rendered its award by which it confirmed the DRC Decision. In the end, Diarra filed a lawsuit with the the Tribunal de Commerce du Hainaut. Diarra sued both FIFA and URBSFA for damages caused by not being able to exercise the status of a professional football player during the entire 2014/2015 season. Finally, on 19 January 2017, the Hainaut Commercial Tribunal – Charleroi division rendered the judgment analysed in this blog. A. Does the Tribunal of Charleroi have jurisdiction? FIFA (and the Belgium federation) argued that the Tribunal lacked jurisdiction for two (main) reasons: Diarra was bound by a CAS arbitration clause and the Belgium court is incompetent based on the Lugano Convention. Let’s turn to the Tribunal’s rebuttal of both objections. FIFA argued that M. Diarra was bound, through his registration as a professional football player with the French Football Federation, by the CAS arbitration clause included in the Statutes of FIFA. In particular it refers to Article 68 of the FIFA Statutes. The Tribunal finds that this provision poses difficult problems of interpretation. Especially, Article 68(3) FIFA Statutes does not stipulate that the prohibition to have recourse to ordinary courts entails necessarily an arbitration clause in favorem of the CAS. Instead, the Tribunal finds this lack of clarity in the wording of the provision to play in favour of the player. Thus, it concludes that the FIFA Statutes do not create an obligation for the player to turn to the CAS to solve this dispute. The judges add that even if one considers the FIFA Statutes to be sufficiently clear and precise, the parties must have concluded an arbitral convention in the sense of Article 1680 of the Code Judiciaire Belge (Belgian Judicial Code). In this regard, FIFA needs to demonstrate through documentary evidence (not necessarily signed by the parties) the existence of an agreement fulfilling the law’s requirements of clarity and precision. Yet, in the present case, FIFA was unable to show that it had any contractual links with Diarra. Hence, the judges concluded that there were no elements demonstrating that Diarra would have consented expressly or implicitly to arbitrate at the CAS disputes stemming from its relation with FIFA. Additionally, the Tribunal refers in footnote 7 to the evident contradiction between FIFA’s claim and the agreement signed with the European Commission to put an end in 2001 to the Commission’s investigation into the FIFA RSTP. Indeed, this agreement clearly stipulates that “arbitration is voluntary and does not prevent recourse to national courts”. Finally, the Tribunal insists that any general prohibition (as the one included in FIFA’s statutes) to have recourse to national courts would be contrary to Ordre Public and, therefore, must be disregarded by the Tribunal. Is it a new Pechstein? Hardly. FIFA is not relying on a specific arbitration clause included in its Statutes, nor does it refer to any arbitration clause included in the Statutes of the French Football Federation. In the Pechstein case (on ‘Pechstein’ see our blogs here and here), Claudia Pechstein was forced (as a condition of entry to the competitions of the ISU) to sign an arbitration agreement in favour of the CAS. 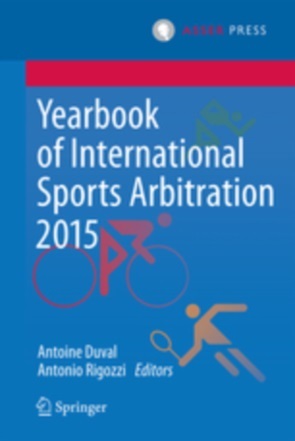 In the Diarra case, the player never signed anything and the Tribunal just highlighted that the vague language included in the FIFA Statutes cannot be constructed as a sufficient legal basis for a general arbitration agreement binding all football players (and clubs) for all disputes involving FIFA or national federations around the globe. The second objection raised by FIFA and the URBSFA regarding the competence of the Tribunal is related to the Lugano Convention. In principle, as pointed out by the respondents, Article 2.1. Lugano Convention foresees that one should be sued in the courts of her domicile. Any derogation to this general rule is, in their view, limited to exceptional circumstances in which there is a particularly close linked between the dispute and the jurisdiction other than the one of the domicile of the respondent. Yet, the Tribunal refers to Article 5.3. Lugano Convention, which stipulates that “in matters relating to tort, delict or quasi-delict, in the courts for the place where the harmful event occurred or may occur”. It held that this special competence is grounded on the existence of closed connecting factors between the dispute and the place where the damage occurred. The judges refer to the Mines de potasse and Shevill jurisprudence of the Court of Justice of the EU to conclude that the notion of harmful event covers both the place where the damage materialized and the place where the event occurred. In the present case, it entails that Diarra is not forced to lodge a complaint in Switzerland, where FIFA adopted the controversial regulation. Instead, he could also submit a complaint at the place where the damage was felt. More precisely in Belgium (and more specifically Charleroi) due to the missed opportunity to be employed by Sporting Charleroi. This is (with other cases we have chronicled on this blog, see here and here) a good reminder that FIFA’s regulations, as long as they have damaging effects outside of Switzerland, are easily subjected to challenges in the EU Member States. In particular due to a potential incompatibility with EU free movement and competition law. B. The compatibility of article 17(2) FIFA RSTP with EU law? Instead, the Tribunal focused on the interpretation (at least until April 2015) by FIFA (and the URBSFA) of article 17(2) FIFA RSTP. 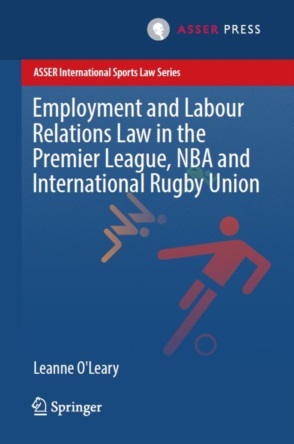 Indeed, it refers to the legislative history of the FIFA RSTP and in particular the EU Commission-FIFA agreement to strongly affirm that “there is no doubt that the European Commission would have never given its green light to such a system, which boils down in fine to preventing a worker dismissed by his employer – even if it is due to his behaviour - to find a new job”. To further support this argumentation it refers directly to the CAS award rendered in the latest episode of the ‘Mutu saga’. In that case, the CAS clearly affirmed that the interpretation provided by the FIFA DRC, insofar as it extends the applicability of article 17(2) FIFA RSTP to players dismissed by their clubs on the basis of their behaviour, is contrary to EU law and the Bosman jurisprudence. Thus, the Tribunal concludes that the application of article 17(2) FIFA RSTP supported by the defendants in the present case was contrary to the freedom of movement of workers. Henceforth, the faulty behaviour of FIFA was established. The scope of this paragraph could have been way broader if the Tribunal had not included the “who has been dismissed” part. Indeed, it seems to exclude situations where the player decides to leave his club and, thus, preserves the possibility to hold the new club accountable for compensation due by the player to his former club for having terminated his contract. This case matters, not so much for Diarra, who has secured a meagre EUR 60 001 in damages (and not the EUR 6 million announced everywhere) plus a bit more if his lawyers manage to demonstrate a substantial loss of opportunity from not having played with Sporting Charleroi (which, with all due respect, should prove rather difficult), not so much for its substantial solution because the CAS had come to a similar conclusion in its Mutu award from 2015, not so much either for its arbitration dimension as the Tribunal’s considerations regarding the absence of an arbitral agreement are not really surprising (or new for that matter). No, its importance lies in the reaffirmation of the need to read the RSTP in the light of EU law and to interpret it with the jurisprudence of the CJEU in mind and the agreement with the EU Commission on the table. This decision is laying further ground for broader challenges to the RSTP on the basis of EU law. For example, I do not see where one can find in the EU Commission-FIFA agreement the endorsement of a joint liability of the new club and a player for damages incurred by the latter when terminating his contract with his former club. Thus, the entire article 17(2) FIFA RSTP is build on shaky legal grounds, and if one pursues the logic of the Tribunal until the end there is no reason why it should not be deemed contrary to the EU free movement rights of players. Jugement du Tribunal de Commerce du Hainaut, division Charleroi, A/16/00141, 19 January 2017, at paras 19-21.